Company Profile (excerpt from Reuters): Aon plc, incorporated on December 8, 2011, is a professional services firm providing a range of risk, retirement and health solutions. The Company provides an advice and solutions to clients focused on risk, retirement, and health. The Company’s principal products and services include, Commercial Risk Solutions, Reinsurance Solutions, Retirement Solutions, Health Solutions, and Data and Analytic Services. Commercial Risk Solutions includes retail brokerage, cyber solutions, global risk consulting, and captives. Retirement Solutions includes core retirement, investment consulting, and talent, rewards and performance. Health Solutions includes heath and benefits brokerage and healthcare exchanges. Data and Analytic Services include Affinity, Aon InPoint, and ReView. Aon PLC is suitable for the Enterprising Investor but not the more conservative Defensive Investor. The Defensive Investor is concerned with the high PEmg and PB ratios. The Enterprising Investor has no initial concerns. As a result, all Enterprising Investors following the ModernGraham approach should feel comfortable proceeding with the analysis. 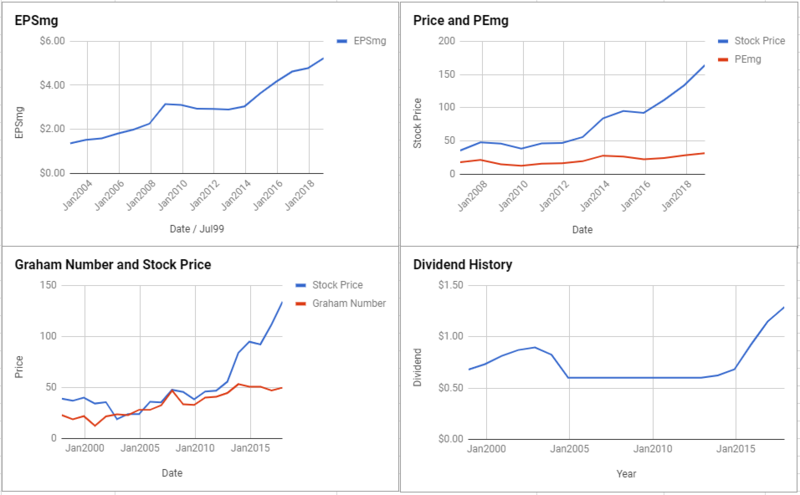 As for a valuation, the company appears to be Overvalued after growing its EPSmg (normalized earnings) from $3.63 in 2014 to an estimated $5.23 for 2018. This level of demonstrated earnings growth does not support the market’s implied estimate of 11.42% annual earnings growth over the next 7-10 years. 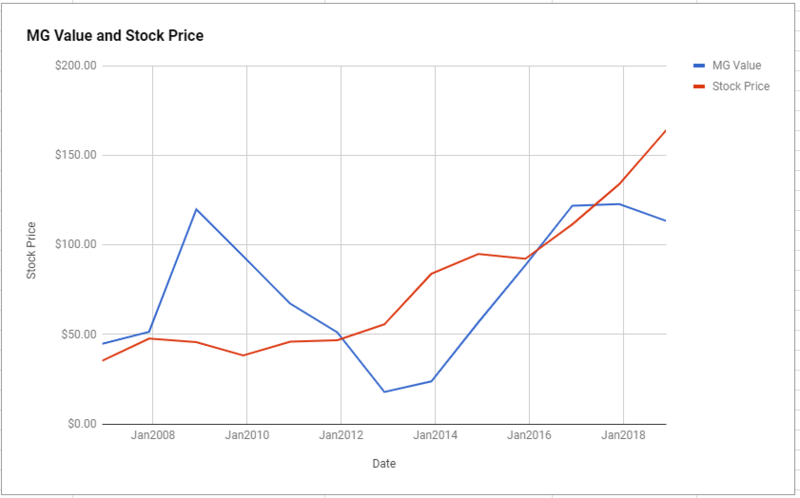 As a result, the ModernGraham valuation model, based on Benjamin Graham’s formula, returns an estimate of intrinsic value below the price. At the time of valuation, further research into Aon PLC revealed the company was trading above its Graham Number of $49.78. The company pays a dividend of $1.41 per share, for a yield of 0.9% Its PEmg (price over earnings per share – ModernGraham) was 31.35, which was below the industry average of 32.22, which by some methods of valuation makes it one of the most undervalued stocks in its industry. Aon PLC receives an average overall rating in the ModernGraham grading system, scoring a C.